Superdry women’s Darla graphic top. 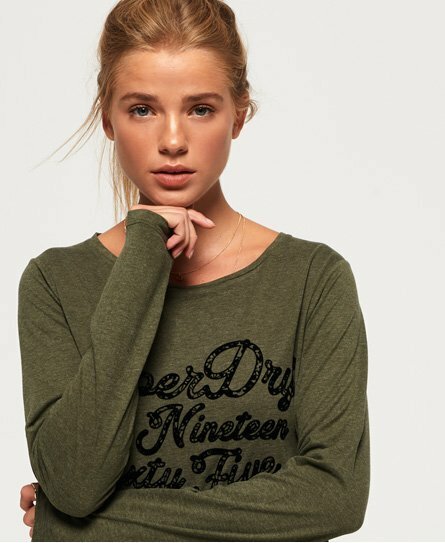 This long sleeve top features a textured Superdry logo graphic across the chest and is finished with a small Superdry logo tab on the hem. Style with your favourite jeans for the perfect every day look.